Barely 5 years ago, virtual reality (VR) was a great unknown to the majority at large, but little by little it is becoming more widespread in our society. We find it as one more support on videogame platforms as well as experimental medical treatments (Parkinson’s disease therapy and even surgical operations). In the hardware area, we will avail of different VR kits that will leave you open-mouthed on trying them yourself. The VR zone will be open to the general public. All you have to do is come and enjoy the future of entertainment. You will experience unique sensations, such as being a zombie apocalypse survivor, or a Jedi wielding a lightsabre to the rhythm of music or even a street artist painting walls with sprays. All these and many other experiences await you at the VR zone. 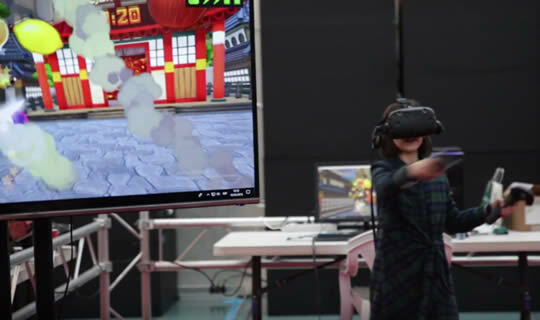 At the VR zone, you will find the goggles from two of the most influential companies at present, HTC Vive, influenced mainly by videogame platforms such as Valve Steam, and Oculus Rift, mainly supported by the more than well-known social network, Facebook. To the experiences lived in previous events, we add new experiences to enable you to enjoy for a good while. This is a musical game from the Hyperbolic Magnetism studios. The player must cut through the boxes zooming towards him/her to the rhythm of the music. But careful, because not everything is as easy as it looks, and you also have to think about the direction of cuts, avoiding obstacles. The more boxes cut, the higher points the player wins. 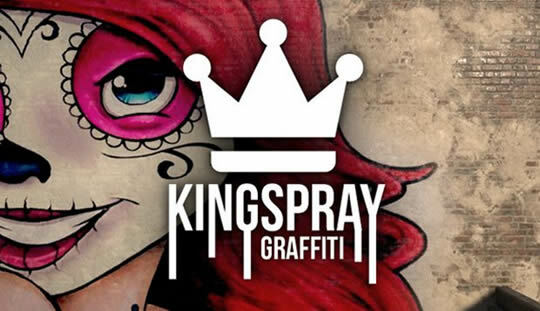 Kingspray Graffiti is a street art simulator. Set your artistic side free for a while painting on realistic walls without the need to do anything illegal on the streets. Kingspray offers an authentic sensation of real movement while providing different scenarios on which to paint and being able to move around the entire room without any sort of restriction.